Gita was fifteen years old when her Maharashtra Brahman father Ram Gopal decided to take the family on a trip from Bombay to visit with northern relatives in Gujarat to discuss business. 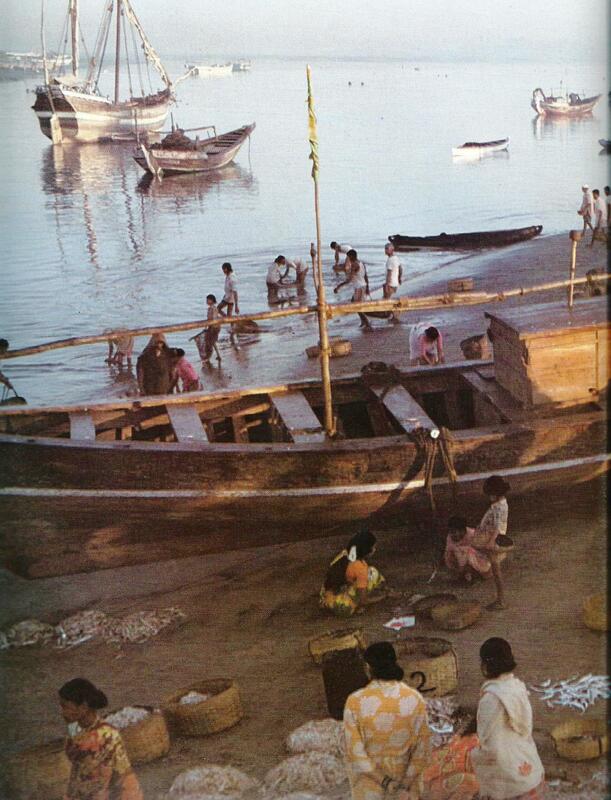 The only practical fast mode of transportation was on boats that regularly traded around the Arabian Sea and provided passenger accommodation as well as cargo space. Ram Gopal’s ancestry in the area could be traced back into pre-history and his forebears had watched indigenous dynasties rise and fall, they’d survived the Moslem invasions only to have the seven islands making up Bombay ceded first to the Portuguese then gifted to Charles II of England in 1661. The king later leased this “Jewel in the Crown” to the East India Company. For two hundred years up to Ram Gopal’s era the British had incrementally established their undisputed control over these islands and drawn representatives from all the races occupying the sub-continent to make up its population, with clear lines of distinction between the white ruling race and its mixed Indian population. 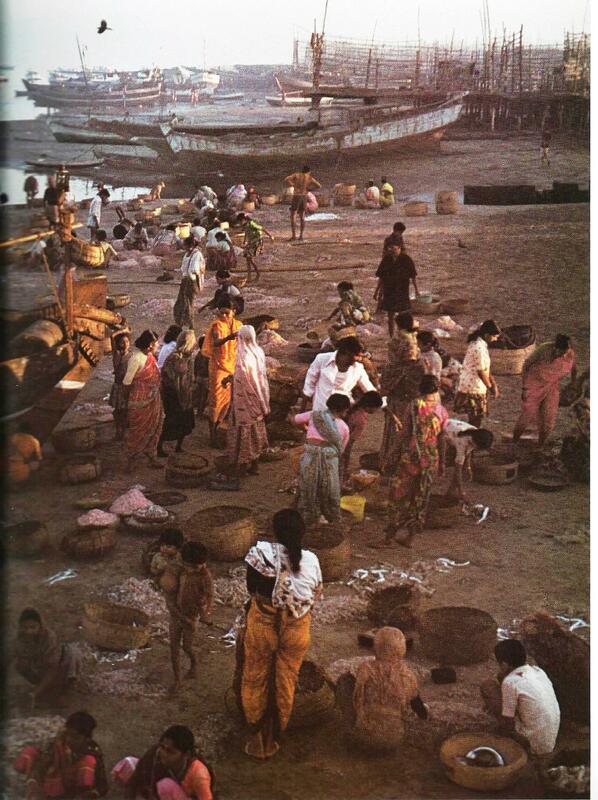 Apart from fishing fleets of the Kolis a Marathi fishing community, business shipping was controlled by foreigners. Ram Gopal was not only of the highest caste but also a successful businessman who profited from the presence of the white occupiers who he considered low caste and inferior. So that he wouldn’t be contaminated by their interaction in business transactions Ram Gopal used others of the higher castes as his spokespersons and ensured they were ceremoniously cleansed before they returned to report on business and interaction with the foreigners. As with all low castes he even avoided their shadow passing over his. So for his mode of transportation to visit relatives Ram Gopal would have to use ships owned by the foreigners if they were to travel in reasonable comfort and do it quickly. He thought about this for some time but concluded it was unavoidable on this occasion and he’d have to go through purification ceremonies should lesser caste contacts be made on the way. Finally he sent his retainers to book passage for his family on the Humphrey London shipping line. Gita was enthralled when she saw him standing with arms folded watching people and cargo loading on board ship. She didn’t know it at the time but this was John London son of the shipping line owner. His other sons captained company ships in the shipping line. John was the youngest so was given charge of ships destined for nearby ports before he gained experience enough to be entrusted with longer journeys. During the entire journey Gita squatted on deck studying this young captain while the rest of the family slept below deck. John London didn’t have the finely chiselled features considered handsome by Indian standards but his bearing and commanding personality made up for that. She tried to imagine him with brown skin and brown eyes instead of his tanned look and penetrating blue eyes, but the more she studied him the more appealing he seemed to her. She imagined him in a flowing wedding kurta beside with her decked out for the Hindu ceremony, she as the bride. How much would her father give the Captain’s family for the dowry she wondered? Then she frowned as she remembered Brahmins don’t contaminate themselves with lower castes of which this white man was considered one. She was jolted out of her thoughts by the immediate presence of this young foreigner in front of her. He’d been watching her too and thought she may have been travelling without family. The thought surprised him as that was not done in upper class Indian society. He decided to keep an eye on her to ensure none of the crew bothered this beautiful young woman. Then he began to question whether his motives were only the spirit of a gentleman seeking to protect a lady. She was beautiful, and obviously very well off as he surveyed her jewellery and high quality silks. Gita should have averted her eyes as was the custom but instead stared into the eyes of this young man speaking to her in an unintelligible language which she thought must be his own language, the language of the white sahibs. Realizing his mistake John broke into flawless Marathi asking her if she was travelling alone and where she was going. Without thinking about the taboo of speaking to strangers, and particularly one of the low castes which foreigners were considered to be by Brahmans like her she replied in cultured Marathi she and her family were on their way to Gujarat to meet with relatives. During the journey John would return on his rounds to share conversation with Gita while the Indian crew looked on in amazement. During the course of conversation Gita told him about her family, their business and the location of their home. John shared details of his life and home in Bombay too. He was aware as he moved around the ship those brown eyes followed his every move and he became uncomfortably aware of a strange sensation in his chest. He found himself returning her stares and toward the end of the journey he stood at his station with eyes locked on eyes that locked on him in return. As they moved into their destination port Ram Gopal and the rest of his family moved to the deck with their belongings and instantly members of the crew shouted to him that Gita had been in inappropriate conversation with the foreigner. Ram Gopal glanced angrily at his daughter, then at the captain who smiled reassuringly at him in response. Gita’s mother marched her down the gangplank slapping her as she went and Ram Gopal glared at John as he motioned to coolies to take his belongings to shore. Gita was kept under strict supervision when they all returned to Bombay. But she’d spend time looking out her upper floor window thinking of the Captain and his kindness. Then one day as she was looking out her window she gasped in surprise. There he was on a street corner diagonal to her house watching. She sat in a vantage position at the window where he could see her. He stood for some time watching her and she wished upon all her gods she could be transported from her closely guarded quarters into his presence. There’d be long absences while he was guiding his ship along the coast, but he’d always return to that spot when he was in Bombay to watch, and she’d always be ready. Then one day she heard her parents talking about a marriage proposal from one of her relatives. She wondered if she’d have a say in these arrangements, then realized that could never happen in her community. She’d be expected to obey her parent’s wishes in all things, and later that obedience would be transferred to her husband and mother-in-law. Gita was torn between tradition and her infatuation with her Captain. The next time John appeared on the corner to express his longing Gita bribed a servant to let her out of the house and she fled the house hoping she’d never have to beg a return. John was shocked to see her running toward him as he realized the implication of her action. She’d never be accepted back into the home she’d left and his heart skipped as he realized his chance had come at last. In a torrent of Marathi she explained her situation, the marriage proposal and the impossibility of returning home. Then she paused and looked at him uncertainly. She had no dowry to bring with her and felt the tightness of shame in her chest. John led her wordlessly through the streets to a little Indian Christian church where a sympathetic priest was handsomely rewarded to pronounce the vows in a language Gita didn’t understand. At each point where a response was to be made John would explain in Marathi and Gita would respond in her language. But Gita was not to be satisfied until a Hindu priest could be found and suitably bribed to perform the ceremony. Only then did she consider herself married. Two years later on her eighteenth birthday Gita delivered a baby girl. They called her Priya. At first Gita feared John would be angry with her for not delivering a son as the first born, but when she saw the delight on John’s face as the servant placed the baby girl in his arms she relaxed. She’d have many children and the next one would be a boy she thought to herself. At first Ram Gopal was furious when he learned of his daughter’s escape from the house. The servants were severely beaten for allowing this to happen and then Ram Gopal took counsel with relatives and friends from his community to determine what course of action he should take. Out of the discussion it was confirmed Gita had lost her Brahmin status and couldn’t be married in their community. Hindu priests were engaged to cleanse the house of her memory. If she returned she’d have the status of a low class servant or possibly killed to wipe collective shame from the community. But it occurred to the community that while there could be no direct dealings with Gita and her new husband, a business opportunity had been opened up in this union. The goddess of wealth Laxmi could be smiling on them in this arrangement? Fellowship they could not have, but perhaps Ram Gopal and the community could profit in a business alliance with the foreigners. If a foreigner could be beguiled by Gita, then maybe the shipping line could be used for the profit of community as these foreigners obviously had sympathies for their community in taking one to marriage? Approximately one week after the Hindu wedding ceremony of John and Gita one of Ram Gopal’s most trusted associates visited their new home with a gari load of expensive presents. It was explained that while there could be no family visits because of their strict religious beliefs, Ram Gopal and the community wished them good fortune and hoped at least in their business dealings they could work in harmony for mutual profit. These expensive presents were presented one by one. Then it was suggested perhaps all Ram Gopal’s and community goods could be shipped exclusively on the London family shipping line if a concession were to be given on shipping charges? John presented that business proposal to his father who was glad to enter into an agreement. But happiness for Gita was soon to end. One day news was brought to her a violent storm at sea had wrecked the ship John was in charge of. Her husband of just a few years was now dead. The London family went into grieving, but Gita was inconsolable. It was her deep desire to have a proper Hindu funeral in which the body would be burned and consigned to sacred waters, but John’s family gently and firmly insisted on a Christian burial. When the stone had been properly placed over her dead husband’s grave site Gita paid a visit to John’s father Humphrey. There she deposited Priya gently in his arms imploring him to take good care of her. The old father bowed down with grief over the loss of his son was surprised at this gesture but nodded his head in agreement. He wasn’t sure what Gita intended, but somehow knew this would be the last he saw of her. Gita went to her husband’s grave and began to cover her body with ghee. Then she lay on the grave stone and striking a match set herself alight. It was a timeless practice of Hindu widows to accompany their husbands on the burning funeral pyre. She’d been cheated out of her duty but this was her way of improvising. She’d join her husband in the afterlife and the gods would watch over their daughter. Oh my, didn’t see the sati coming!!! Loving every word Ian. Can’t wait to see what happens to Priya. I’m sure she will come out of it OK. I still have to finish the series. lol. You would probably like some of my earlier mini-novels based in Asia if you like this one. Just check out the mini-novels in the index. I suppose that’s why Karl Marx arrived at the erroneous belief that “religion is the opiate of the people.” He must have observed things that led him to that conclusion. We have to be very careful ourselves we do not practice our belief systems to the point they hurt ourselves or others don’t we? That kind of religion certainly would support Marx” view. not only well written, but held me all the way through. you have a true gift for story telling Ian. Glad you’re enjoying the series sister-in-law. You may enjoy my other mini-novels too written earlier. What a sad story Ian, and yet once you set the scene, the outcome seemed inevitable. I didn’t know that Brahmins considered foreigners (the British) as inferiors. I have one small suggestion which is that you review the number of times that you state and reconfirm this fact. perhaps twice is enough? This chapter creates a great background to Priya and the rest of her story. I like the fact that the first chapter showed Priya as an adult giving the chapter two back story more punch. Remember the setting was early 1800s. Enshrined into the constitution of India are the principles of equality today. But under wraps, and most particularly in the villages discrimination by caste is still a reality even today. It’s not a matter of only the British being equivalent to “untouchables” in that era. Anyone who was not of a higher Indian caste was inferior and a potential for contamination. That applied equally to Indians and foreigners no matter what their nationality or religion. Marrying outside of caste was not permitted, and even today in villages could be life threatening. I suppose living in India this was in your face constantly hence my tendency to not mention it as a point in passing. It was a minute by minute issue that determined each decision in business and social life. It’s only when we move outside our support cacoon that the reality is apparent. In that era particularly foreigners moved in their own associations and interfaced with nationals only as work contributors. Socializing was frowned upon, and for those who did inter-marry it was a sad situation in which both societies rejected social interaction with them. They were non-people. So terrible, devastating really especially for the child to lose both her parents. The setting was the 1800’s. India is a different world today but the enormous pressure of population and huge divide between the cities which the west sees as India, and the vast village population which is the real India still carries many of the taboos of that earlier era. Yes colonial rule had some good and some bad experiences to it. I could never understand the willingness of some wives to place themselves on the funeral pyre but there were cases where the woman was forcibly put there by male relatives. That was barbaric! In order to understand the mentality behind this you have to go to the sacred writings where the concept of a woman finding god in her husband and relying on serving him during the lifetime would progress her on recycling process toward the ultimate realization of god within when the higher levels of incarnation had been reached. Tragic end for Gita but drawn from brutal tradition and beliefs of the high born Brahmin caste. One of the many good things about European rule was the banning of suttee – widows dying on their husband’s funeral pyre. This practice is abhorrent to say the least and nothing more than reflects the insecurities of egoistic men.